We reached out to Melissa Baker and Jamie Statter at the USGBC to see what is new. When LEED was launched in 2000, the green building movement took off. Building owners across numerous industries embraced the promise (and purpose) of LEED, but the unique complexity of hospitals made certification a challenge. The first hospital to be certified was the much lauded Boulder Community Foothills Hospital in 2003, achieving LEED Silver. However, the USGBC recognized the need for a rating system to make certification more accessible for the criteria of healthcare projects. In 2004, a committee was formed out of the need for healthcare-specific metrics, and a LEED for Healthcare pilot program kicked off three years later. The LEED healthcare rating system passed USGBC member ballot in 2010. So, what is the state of LEED for Healthcare today? First, the rating system title has a new name: LEEDv4 BC+D: Healthcare. We decided to reach out to our friends Melissa Baker and Jamie Statter at the USGBC to see what else is new. What does LEED for Healthcare look like in 2017? 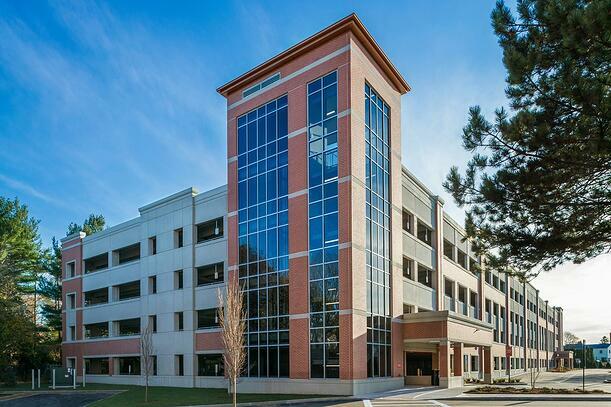 Healthcare facilities continue to achieve LEED certification at a growing rate. Projects are motivated by a number of factors including risk management, employee retainment, keeping staff and patients healthier, and knowing that there's often a short payback to the bottom line of design/construction costs. LEEDv4 BD+C: Healthcare was specifically written for hospitals and other healthcare facilities that operate on a 24-hour schedule. In addition to hospitals using LEED v4 BD+C: Healthcare, the variety of healthcare projects using other rating systems in the LEED suite of rating systems includes clinics, outpatient facilities, medical office buildings and interior spaces within larger facilities, such as a new floor of a building. There are many options for healthcare facilities depending on the type of project and the goals for certification. Can you share insights on how many projects are certified? 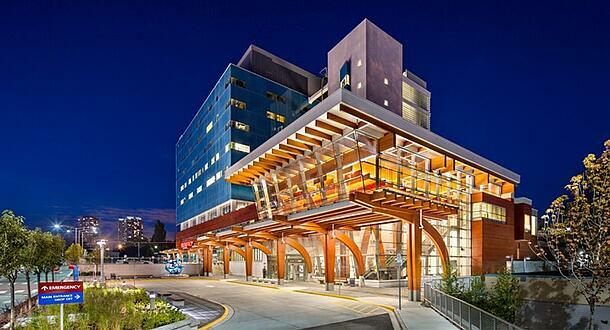 Healthcare projects were using LEED long before there was guidance specific to the project type. 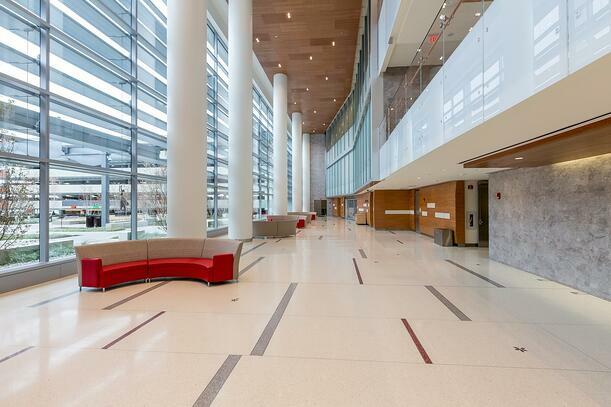 There are currently more than 3,050 healthcare projects participating in LEED globally, totaling nearly 600 million square feet of healthcare space. The majority of those are new construction projects including hospitals, while others include interior spaces or existing buildings. These projects span the globe from China to India to Sweden and the U.S.
Large systems, such as Kaiser Permanente, have made commitments to LEED certification. As of 2013, Kaiser Permanente is seeking LEED certification for all new construction including hospitals, large medical offices, and other major projects. What are some of the healthcare-specific criteria? A committee of healthcare industry professionals developed the LEED language for healthcare projects. They made sure that each LEED credit in the rating system addressed the healthcare-specific needs by developing equivalent standards and compliance paths. In addition, credits such as Connection to the Natural World – Place of Respite and Connections to the Natural World – Direct Access for Patients were added to focus on the needs of visitors, patients and staff through strategies such as options for outdoor areas. Credits that focused on the more technical areas such as the use of water for cooling medical equipment, minimizing energy use and a healthier indoor environment were added to also address the materials specifically used in a healthcare facility. Healthcare is changing rapidly, with a rise in smaller outpatient facilities and moving into retail spaces. How has that impacted LEED for Healthcare, and are there any lessons from retailers you work with that can apply to healthcare? The retail sector is one of the highest growth areas for the use of LEED and they have had the most success with programs like volume certification that brings LEED to a portfolio of projects. 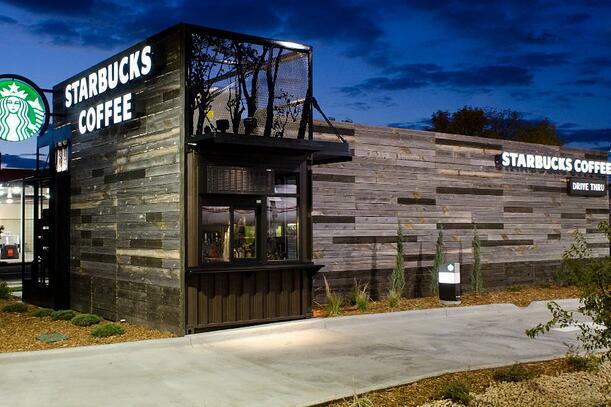 For example, Starbucks has more than 1,200 LEED-certified stores. One reason retail companies have been able to do this is the standardization of design and green practices. As the healthcare sector looks at opportunities to move into retail spaces or a retail model, there is an opportunity to standardize design and green practices making it more effective to implement and lowers the cost of implementing by a significant amount. Also, the purchasing power of a large system using the same equipment across the country can incentivize manufacturers to provide changes to the efficiency of products that would not otherwise be realized. There is efficiency in scale and USGBC and GBCI are able to work with organizations to capture that efficiency as part of the LEED process. Retailers are also able to capitalize on their commitment to sustainability and use that as a way to attract consumers. What do you say to the people that think pursuing LEED is not worth the added costs ("We follow LEED but don’t pursue the plaque")? Green construction is outpacing conventional construction. This trend can be seen across the U.S. according to our 2015 Economic Impact Study. LEED is the world's most widely used green rating system. You are either LEED certified or you aren’t. Through GBCI’s rigorous verification, LEED certification means that a project has met specific standards, everything is working correctly and that the green measures that were taken are performing as they were designed. Also, LEED doesn’t need to cost more than conventional buildings. Sustainable Healthcare Architecture Second Edition by Vittori and Guenther updated a study of healthcare facilities originally conducted in 2008. Both the 2008 and 2012 studies found first cost premiums ranging from 0 to 5 percent, with modest average construction cost premiums: 2.4 percent in the 2008 study and 1.24 percent in the 2012 study; for hospitals more than 100,000 square feet, the average is only 0.67 percent. The average for all 28 LEED-certified healthcare projects (combining both studies) is a modest 1.2 percent. This is in line with the average costs of LEED certification for all certified projects, which is currently 1-3% of a project’s total budget. How have innovations in big data and tech influenced LEED? 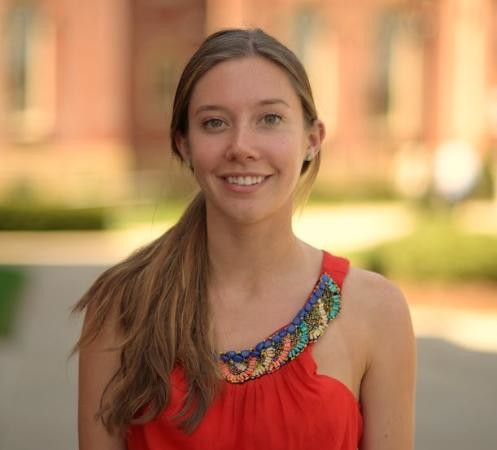 Technology has been vital in advancing the global green building movement. USGBC and GBCI are helping companies move beyond stagnant environmental scorecards and instead, focusing on using real-time data to track progress in a transparent way that drives incremental improvement and more clearly link decisions to outcomes. Putting data at the center of sustainability increases transparency and lets teams better understand the impact at the building, community and city levels. To encourage that level of commitment, GBCI created Arc Skoru, a new technology company whose mission is to connect all actions in one place to create a higher quality of life. Arc measures performance, tracks improvements and benchmarks against similar projects locally and globally using a state-of-the-art digital platform. It tracks data across five categories – waste, water, energy, transportation and human experience – and delivers a performance score out of 100. By tracking real-time data, users can see how their building is performing at any given time and determine adjustments that might need to be made. The platform helps users work toward LEED or other green certifications, but it also provides an entry point for any project to be able to track performance, no matter where they are on their sustainability journey. What are other rating systems that touch healthcare? 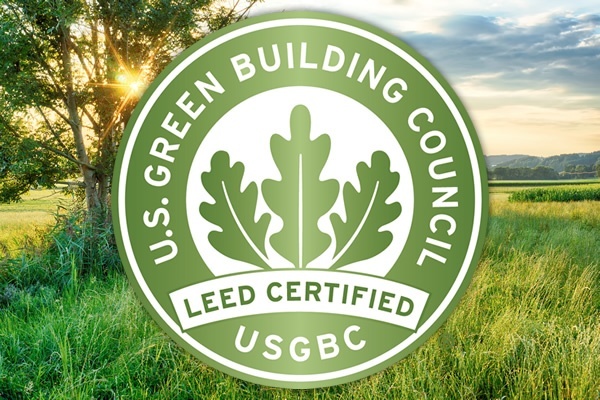 GBCI, which administers the LEED certification, recognizes excellence in green business industry performance and practice globally through certification and professional credentialing. Its programs go beyond buildings and focus on everything from reliable and sustainable power through the PEER rating system, to parking structures with Parksmart, sustainable landscapes through the Sustainable SITES Initiative and more. Healthcare facilities can find significant triple bottom line benefits when they look beyond the physical building. Parking, for instance, remains one of the largest land users in cities and can be a burden for hospital visitors coming and going. 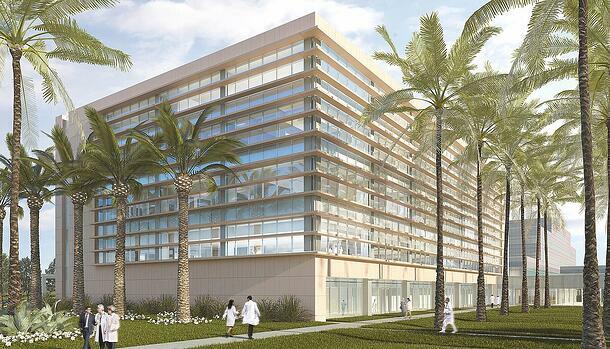 It creates an opportunity for healthcare facilities to rethink parking and find innovative ways to use structures. The Parksmart rating system is a complement to LEED and certifies structures that put innovative, solution-oriented strategies into practice that reduce environmental impact and improve performance. Parksmart-certified garages also reduce operational costs up to 25 percent compared to the national average. Reliable and resilient power systems are also an obvious need for healthcare facilities and a vital part of the country’s infrastructure. GBCI also works with projects pursuing the PEER (Performance Excellence in Electricity Renewal) rating system. It's the nation’s first comprehensive system for evaluating power system performance that helps reduce energy costs and minimize risks. A major risk consideration for healthcare would be power outages as a result of natural disasters like hurricanes. PEER can help a project, like a hospital, improve its power system so it provides dependable, sustainable power while lowering electricity costs. Population growth and development are also causing communities to use more resources than ever before. Yet, decisions around the use of land are often underestimated or ignored. Land is a crucial part of the built environment and can be planned, designed, developed and maintained to increase its resiliency. The Sustainable SITES Initiative helps teams create ecologically resilient communities that are better able to withstand and recover from catastrophic events, such as floods, wildfires and droughts, which can all impact healthcare facilities. The GBCI portfolio can help healthcare facilities create value in new ways that deliver environmental, financial and social benefits. What’s next for LEED and LEED for Healthcare? At the USGBC we work hard to continuously improve LEED, make it even more globally applicable for worldwide use and ensure that those using LEED v4 on their projects have access to any resource they need to be successful. In line with our 2020 vision, we will work to make sure that data and transparency are core to our future as we convene our volunteers and stakeholders to envision the next phase of LEED development. As the healthcare market continues to evolve by looking at new ways to provide the best patient care possible through technology, new delivery models and even healthier spaces we will continue to evolve the LEED rating system and its supporting tools to meet the healthcare market where it is an encourage continued market transformation for healthcare projects.